The actual event may be over, but that doesn’t keep the party from continuing! Even after the event, there is plenty to be done. While you and your event’s guests are sharing pictures and talking about your favorite moments during the event, we’re staying busy behind the scenes. Whether it’s pulling detailed reports, preparing marketing recaps or it’s handling the settlement, we are ready to make things as easy as possible for you. Everyone has different accounting needs based on the type of event they are putting on, and no matter what kind of needs your event may have, we’re here to help. Even after the event you can keep the buzz going as fans share their experiences, photos, mishaps etc. We regularly send photographers out to the events to get grab-and-grin shots so that you not only have shots of the bands to share, but photos of attendees to share as well. Photo galleries continue to be a popular attraction. And, if you post them on Facebook, everyone can tag themselves thus reaching an even bigger audience. Once the event has ended, we continue to spread the word on all of our social media platforms. In addition, we’re more than happy to recap your event for you through data analytics. We can create customized settlement reports outlining advance versus onsite sales. 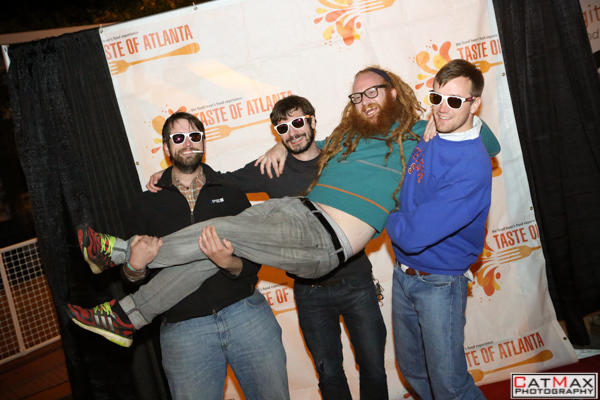 This is particularly vital in cases like Taste of Atlanta where we are also managing sales. The detailed reporting can include promo code reports as well as audits of sales at each point of entry. Once the event has ended, we stay on site with you to finish the settlement and make sure everything is balanced. Eager to head to the after party? Go right ahead! We’ve got you covered! Give us a call at 877-725-4055 or email us at client-support@ticketalternative.com. TA Live Weekend Picks: The Legwarmers, twenty one pilots, & More! Ticket Alternative Gets into the Holiday Spirit This Cyber Monday!